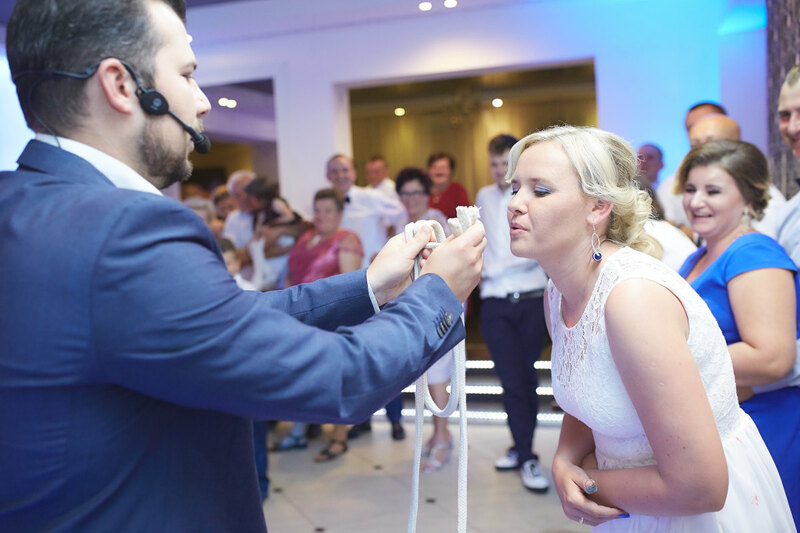 A wedding reception is an event which definitely cannot be short of magic. This is extraordinary time abounding in splendid moments. 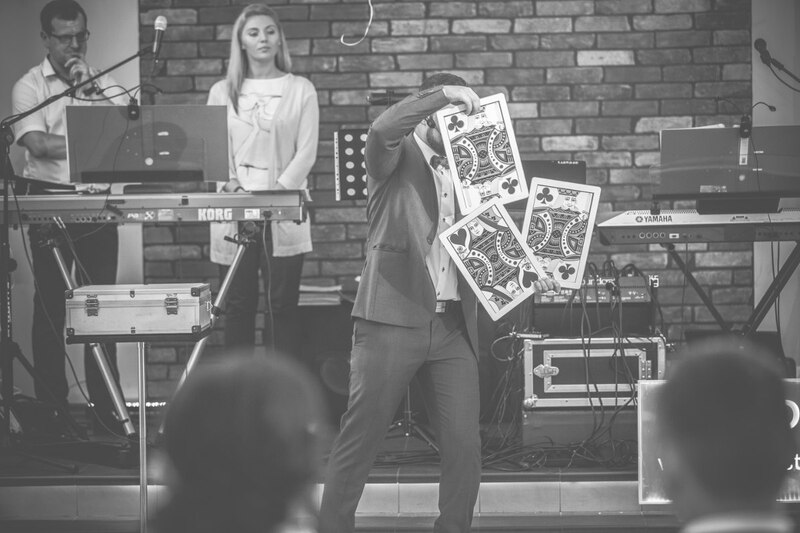 One of them may be the show of illusion by Tomasz Jusza, who will surprise your guests and make your reception a memorable one. The performance is full of wit and astonishing twists and turns. 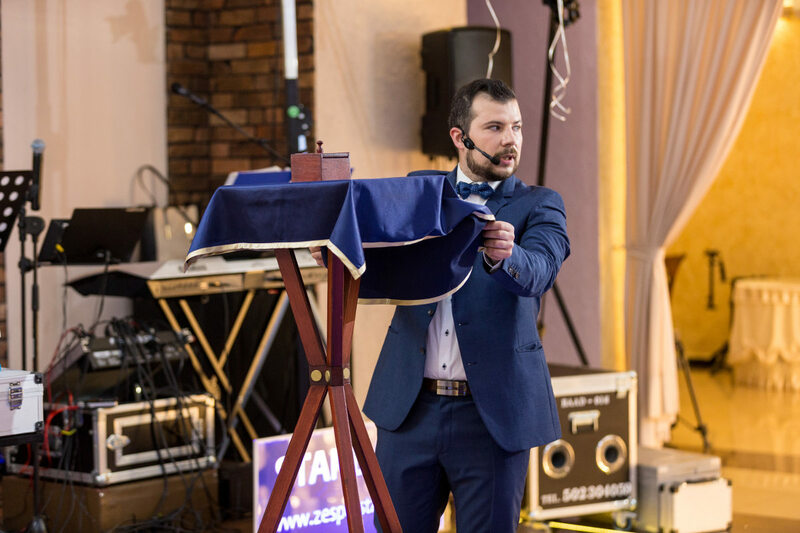 With his long-term experience in this form of shows and his outstanding skills in striking a cord with the audience, Tomasz is a guarantee of fun and very enthusiastic feedback. 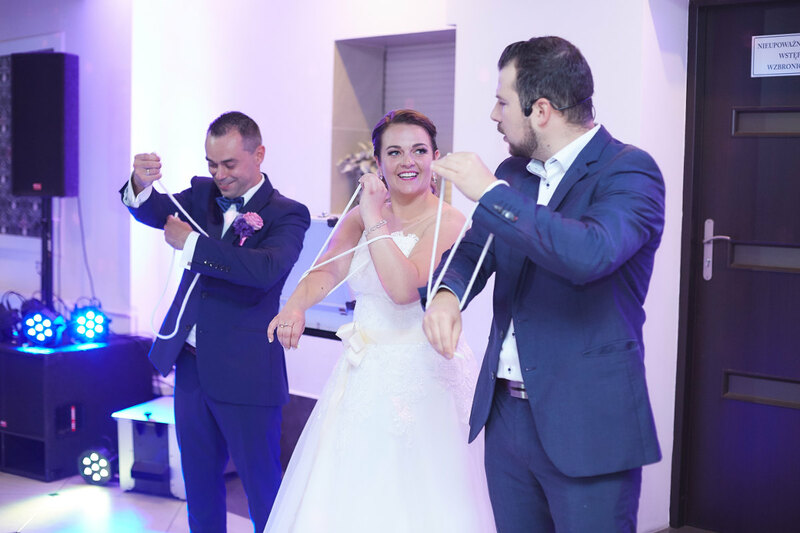 If you are looking for an attraction which will make your wedding reception special and enjoyable for all guests, do not hesitate to contact us! This programme is presented in an area that is visible for all guests, e.g. dancing floor. 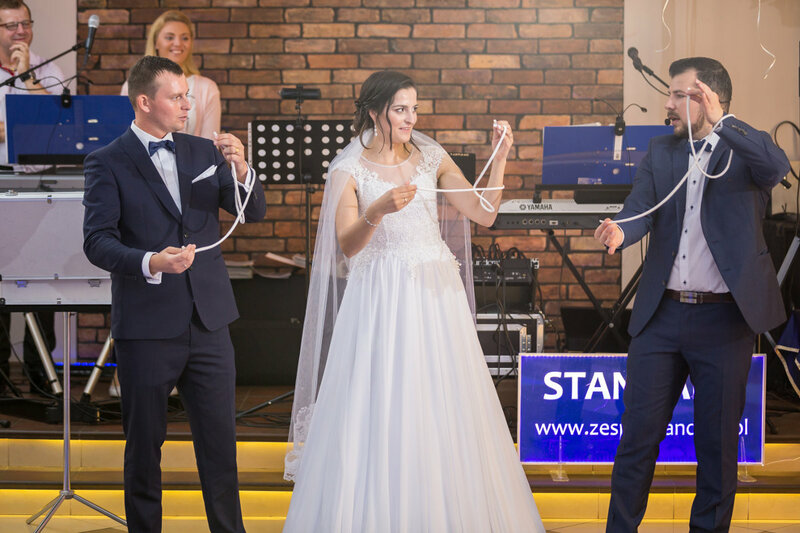 Amazing illusion effects are interwoven with humorous dialogues, while active participation of guests invited to the stage, the newly-weds included, is a reliable recipe for top quality entertainment. 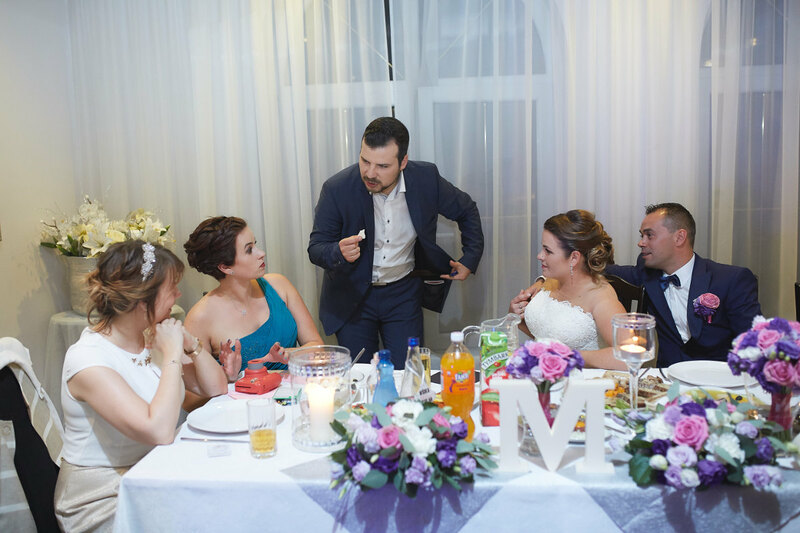 The focus of the wedding reception show is bonding with the audience, integrating guests and spending time together. 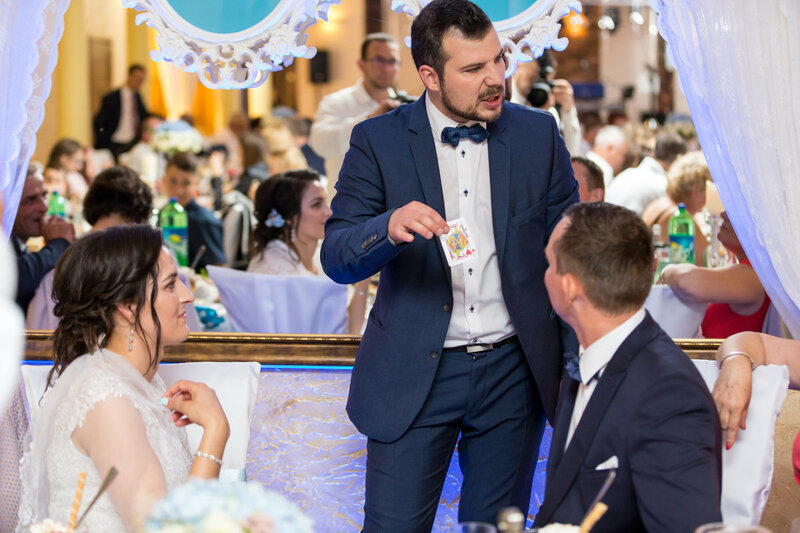 Easy-going style and elegant sense of humour typical of Tomasz is a perfect match both for huge wedding receptions and private meetings for the closest relatives. 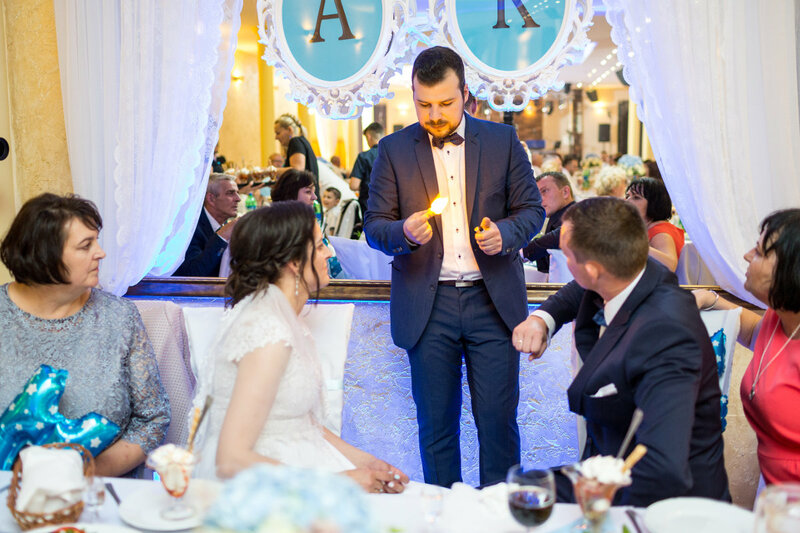 “Magic Moments” is a show which has been developed and improved for years during hundreds of wedding performances given all over the country. 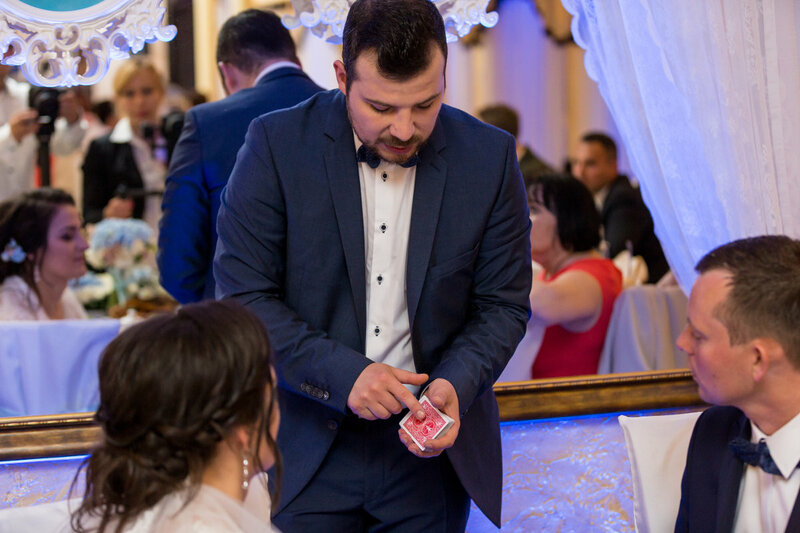 In this option, the illusionist mingles around to approach tables and to present micromagic effects to guests directly; micromagic effects are tricks which require close proximity and are performed with the use of cards, coins and other props, sometimes borrowed from guests. It is an extraordinarily attractive way to provide unforgettable entertainment and an opportunity to take fantastic photos. 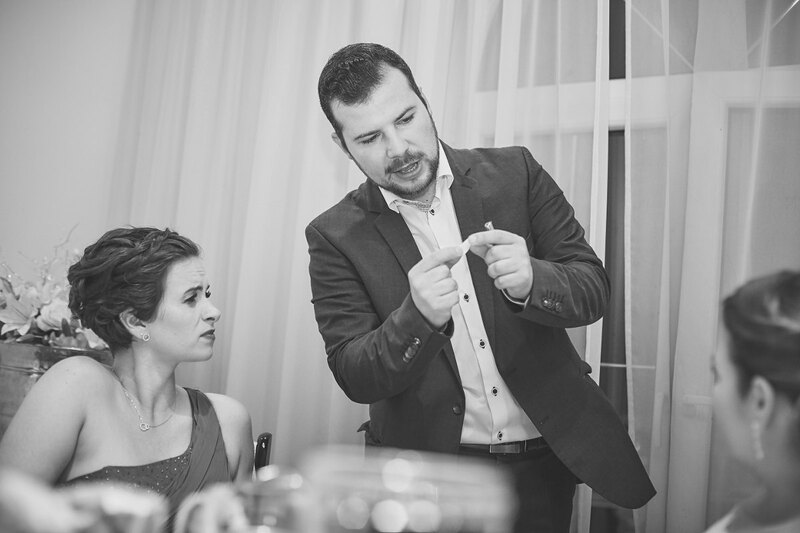 Magic actually happens in the hands of your guests! 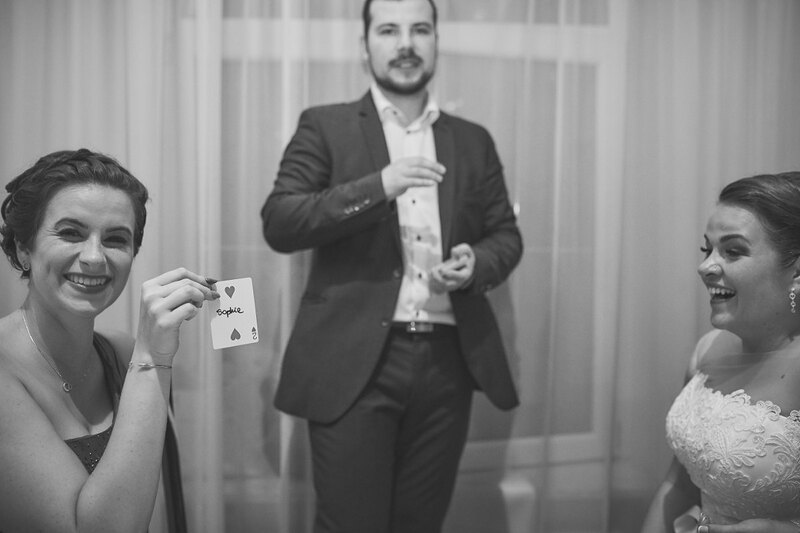 The micromagic show fits “Magic Moments” perfectly. 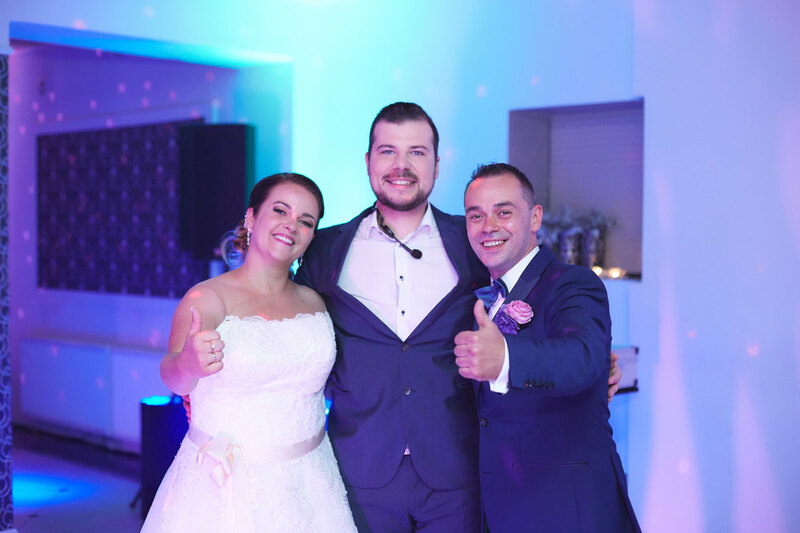 Together they create a comprehensive wedding package which adds uniqueness to your reception.